Thank you for your interest in Latex Balloons (size 3 for rats, 10 pack). Please complete and submit the form below and an ADInstruments representative will aim to get in touch within one working day. If you’d like to speak to someone immediately, office contact information is available from the contact page. 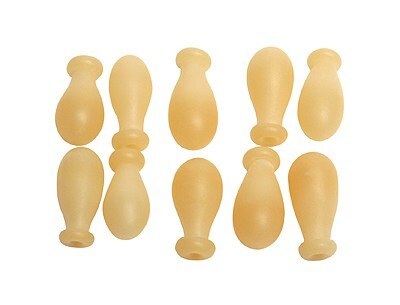 The pack of ten latex balloons for use in measuring isovolumetric pressures in the rat isolated heart. The pack of ten latex balloons for use in measuring isovolumetric pressures in the rat isolated heart. The balloons can be used with the Flexible Balloon Catheter connected to the Physiological Pressure Transducer and Bridge Amplifier to measure pressure. The balloons are 3 x 7 mm with an approximate volume of 0.03 ml and ideal for hearts from rats of 100-200 grams body weight.